Sen. Marco Rubio, R-Florida, is endorsing state Rep. Matt Caldwell for state agriculture commissioner. 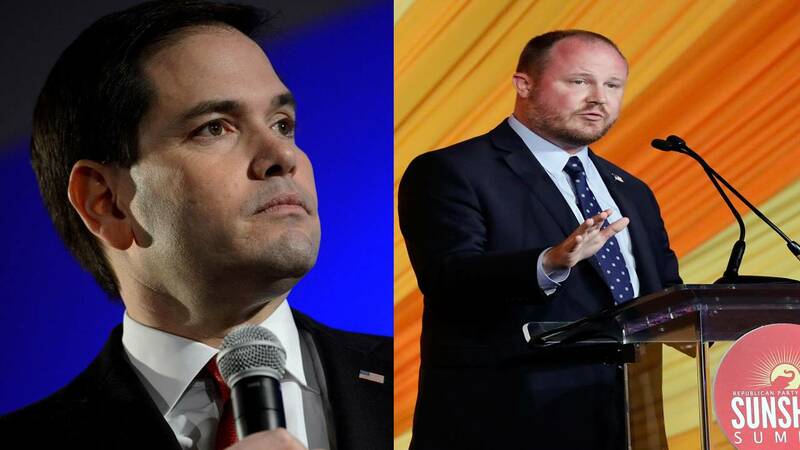 TALLAHASSEE, Fla. - Republican Sen. Marco Rubio is endorsing state Rep. Matt Caldwell in Florida's race for agriculture commissioner. Caldwell's campaign announced the endorsement Wednesday. It's the first endorsement Rubio has made in a statewide primary this year. Caldwell is facing former state Rep. Baxter Troutman, state Rep. Denise Grimsley and former Army officer Mike McCalister in the primary to replace outgoing Commissioner Adam Putnam. Putnam can't run for re-election because of term limits and is instead running for governor. Agriculture commissioner is one of Florida's three independently elected Cabinet positions.